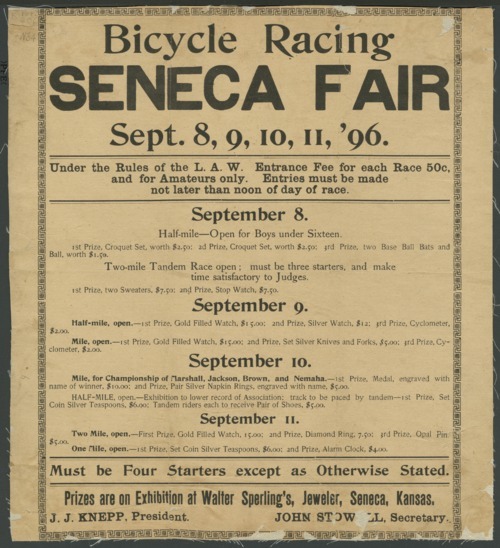 Bicycle races are promoted on this Seneca, Kansas, fair poster. Only amateurs are allowed to participate with an entry fee of 50 cents a race. Prizes are displayed at Walter Sperling's, jeweler. J. J. Knepp is the president and John Stowell is the secretary of the fair association.